Here's my first Christmas card this year and is made by a sketch from Card Patterns. The tree stamp I won on the Jacqueline's craft nest. If you have not met her, I highly recommend her blog. Krasno (Croatian for beautiful)! 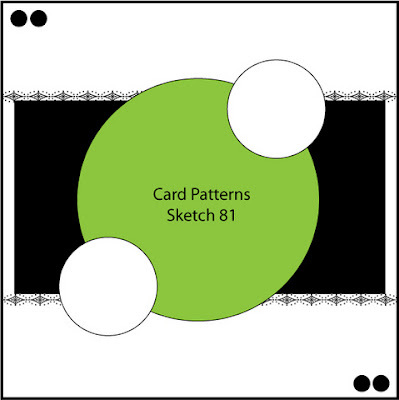 Thank you for playing with us at Card Patterns this week. Beautiful card! Thanks for playing along with us at CP.